To say that the compilation album Legend introduced the music of the late Bob Marley to a new generation would be an understatement. Since its release 30 years ago, Legend has been one of the most popular catalog albums ever, having sold 15 million copies in the U.S. alone. And it’s no wonder given the songs featured on this collection are considered staples of Marley and reggae music in general: “Could You Be Loved,” “Get Up Stand Up”, “Jamming,” “One Love,” “Stir It Up” – it’s all here. Listening to the music again on this special 30th anniversary reissue, it’s amazing that the songs don’t sound dated at all sonically speaking – and so does the lyrical messages of empowerment, freedom, joy and love., i.e. 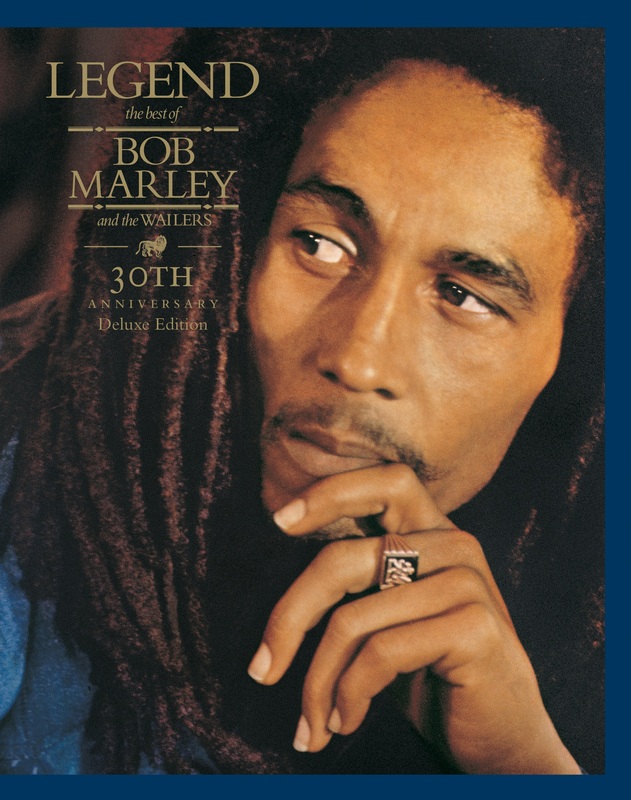 the powerful “Redemption Song.” To mark the occasion of Legend turning 30 is the addition of two new alternate versions of “Punky Reggae Party” and “Easy Skanking,” as well as the studio recording of “No One Woman No Cry,” subbing the live version of the song that appeared on Legend’s initial release. It’s likely that if you visit anybody’s record library that they’ll have this essential release – Legend‘s stature as the quintessential Marley best-of collection still remains timeless.